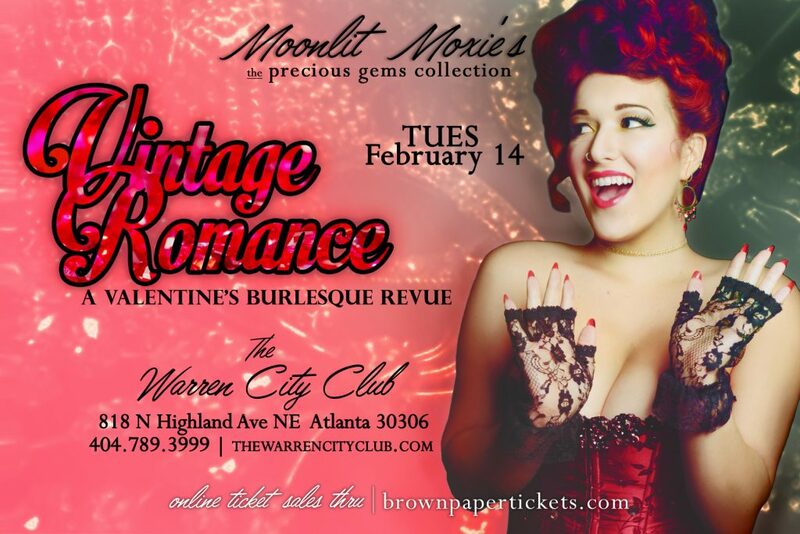 The Warren is excited to team up with the ladies of Moonlit Moxie for our Second Annual Valentine’s Burlesque Dinner. Is there a better way to ask “be mine” than with a little shimmy and a shake? Sit back. Relax. And let the enchanting seductresses of MOONLIT MOXIE beguile you with their newest burlesque revue for Valentine’s Day: VINTAGE ROMANCE, the Precious Gems Collection. Each girl will sparkle, dazzle and captivate you with routines inspired by their jewels of choice. To conclude this electric evening, the Moxies will give an unforgettable finale dedicated to every girl’s best friend. As always, Warren Members receive free entry! Just call 404.789.3999 to reserve your spot.